Cardinal Climber and a Broken Tractor | EAT MY PLANTS! The Cardinal Climber is starting to come up now. This can grow 10-15 feet and some varieties can grow to 30 feet. I am unsure what variety I have so we’ll just have to wait and find out. Like the Morning Glory, I hope to collect seeds from the Cardinal Climber at the end of the season. I’ve never grown this vine but I have seen pictures. It has a lot of green foliage, dark stems, and brilliant, red, trumpet shaped flowers that attract hummingbirds. This will be a very nice addition to the garden area. 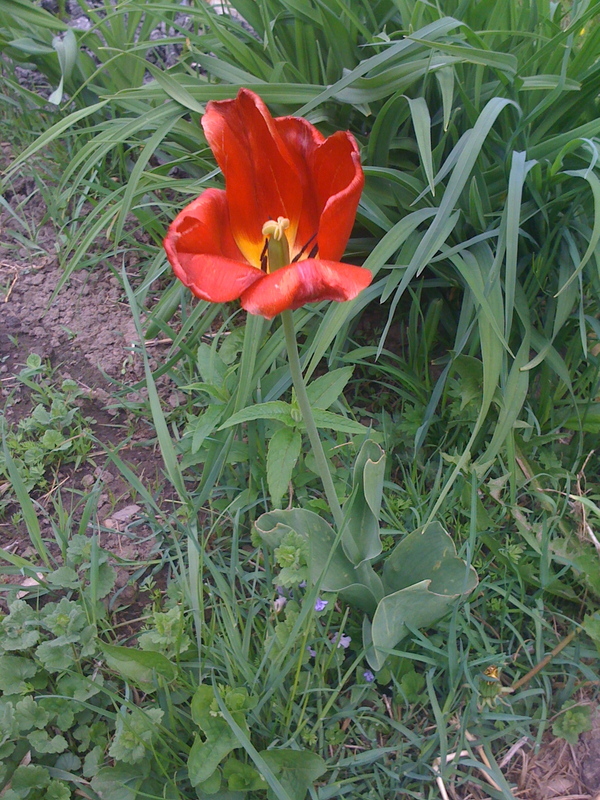 That red Tulip that appeared in the garden is about to fall off. If I was brave, I’d dig the bulb up at the end of the season and pick the offset bulbs from the main bulb to plant again next season. 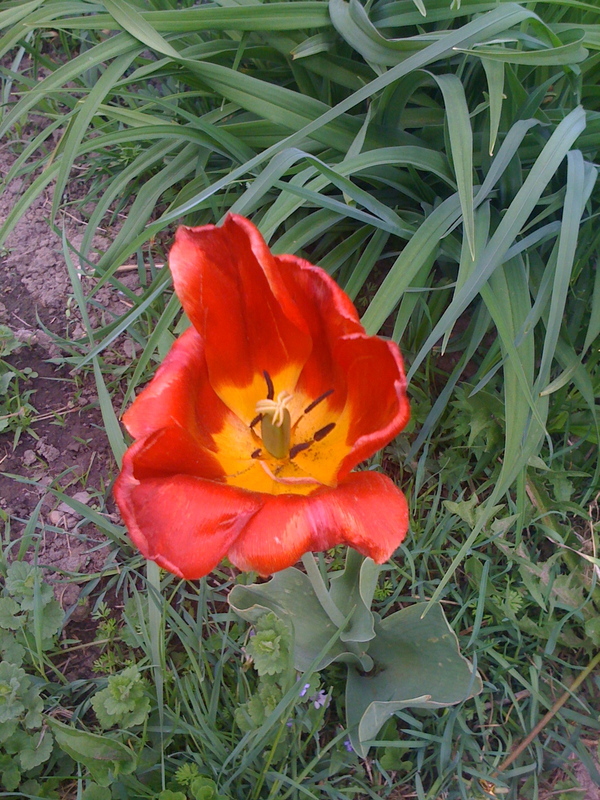 They wouldn’t flower that first season but they’d show green and grow larger bulbs for the following year. The neat part is that the offset bulbs will be genetically identical to the parent plant. 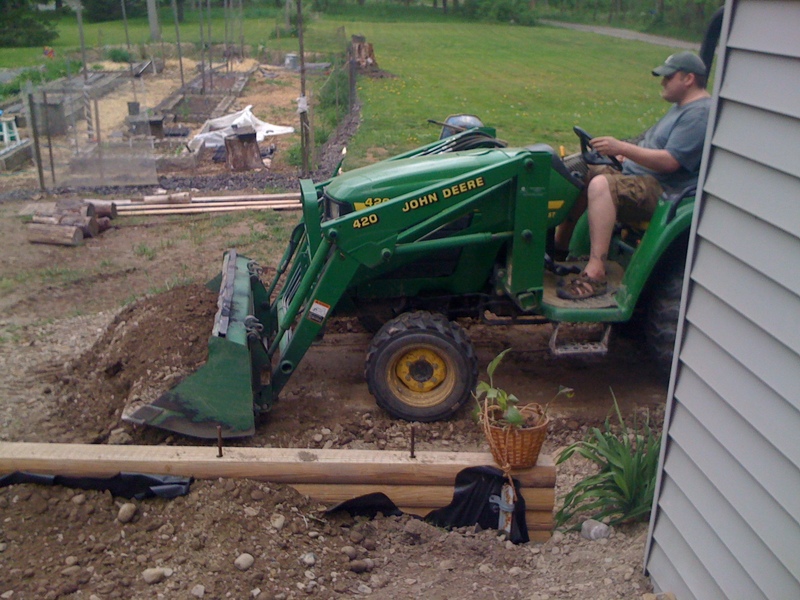 My friend, Shoe, came over with his tractor to help me finish up the wrap around porch. “Old Leaky” can make short work of what my shovel and wheelbarrow were doing. 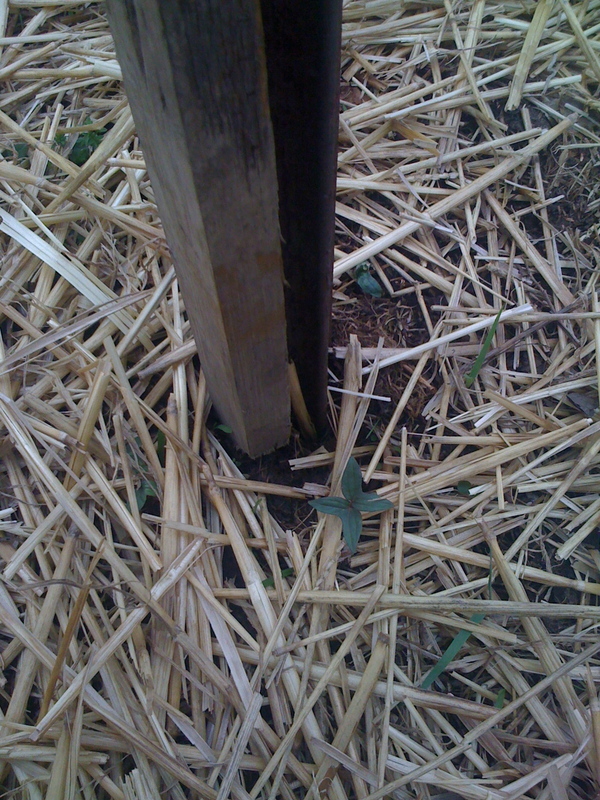 This corner was filled and ready for topping with millings. 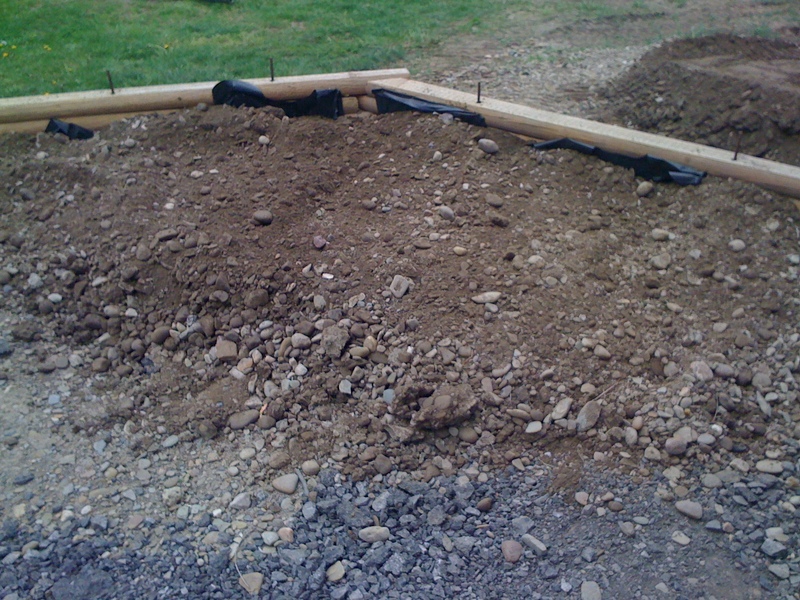 We had moved to another part of the property where I had a lot of crushed concrete brought in a few years ago and tamped down as a base for concrete. We were hauling it over to fill the rest of the patio when the forward drive linkage snapped. 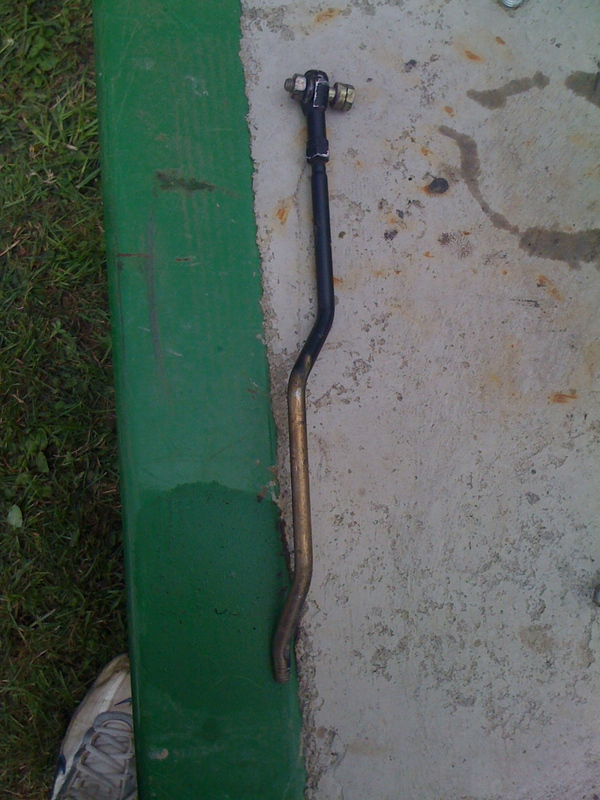 Here’s the linkage that snapped. It had to have had a fracture in it already to have broken. There was no “event” that made this happen. The worst part about this breaking was where it broke. It broke right where it threads into a shoulder bearing up in the engine housing. 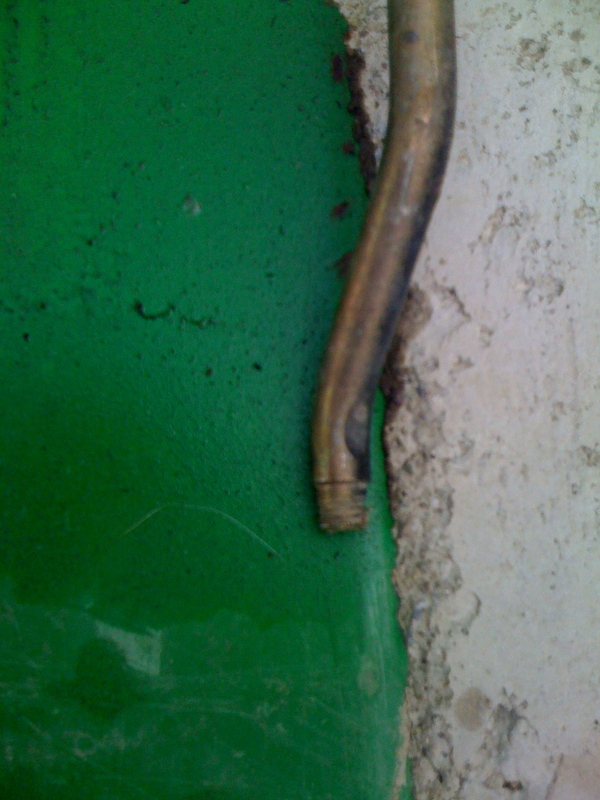 Therefore, we had to remove that shoulder bearing otherwise we would have been able to simply screw the new one in. The part just came in so we’ll get it installed on Monday morning and hopefully finish the job. “Old Leaky” will be back on his feet in no time. ← Oooops! Don’t Thin the Chard!